Lithuanian Jews (Litvaks) and their descendants, who achieved scientific and cultural heights, had significant influence for the development of the Western culture and civilization. In order to present the achievements of the Litvaks to the broader society, the Museum of Culture and Identity of Lithuanian Jews will be established as a new exposition site of the Vilna Gaon State Jewish Museum. Until now its working title has been „Litvak Culture and Art Center“. The vision of the Museum of Culture and Identity of Lithuanian Jews and Identity is to become a venue of infinite historical and cultural discoveries and understanding of one‘s own self for both local and foreign visitors. The mission of the Museum of Culture and Identity of Lithuanian Jews is to reveal the unique phenomena of the Lithuanian Jewish education, culture and art as well as the contribution of the Jewish emigrants from Lithuanian towns and shtetls to the progress of the world culture and science in an attractive and modern way. Lithuanian Jewish artistic and cultural heritage, scattered around the world, will be gathered in theMuseum of Culture and Identity of Lithuanian Jews. The connections of the immigrants from Lithuania, who became famous creators and inventors, with their Lithuanian Jewish origin, traditions and cultural environment in Lithuania will be emphasized and unique cultural phenomena (Jewish education institutions, YIVO, Jung Vilne and others) will be presented. The contribution of the Lithuanian Jews to the development of world‘s cultural, scientific and philosophical thought will be presented via art exhibits, documents and other artefacts, which are preserved in the VGSJM and other institutions‘ collections, as well as via modern museology means. Direct encounters and revealing of history as a living relation of Lithuanianness and Jewishness will encourage the understanding of the culture of the Lithuanian Jews as part and parcel of the Lithuanian culture. 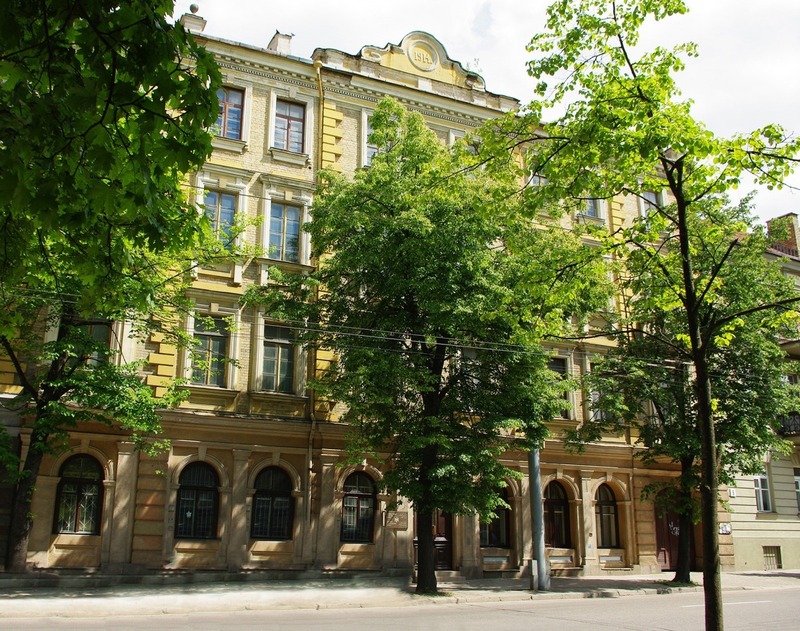 Museum of Culture and Identity of Lithuanian Jews will be established in the historical building on Pylimo St. 4, where the Tarbut Jewish gymnasium was in operation during the interwar period. The current phase is a preparatory phase for the building‘s renovation works. You may contribute to this unique project by volunteering, donating or lending exhibits as well as by making financial donations. For more information, please contact the deputy director of the museum, Dr. Kamilė Rupeikaitė-Mariniuk, tel: +370 262 9544, e-mail: kamile.rupeikaite@jmuseum.lt. Please indicate that the purpose of your payment is a donation to the Culture Museum of the Lithuanian Jews.